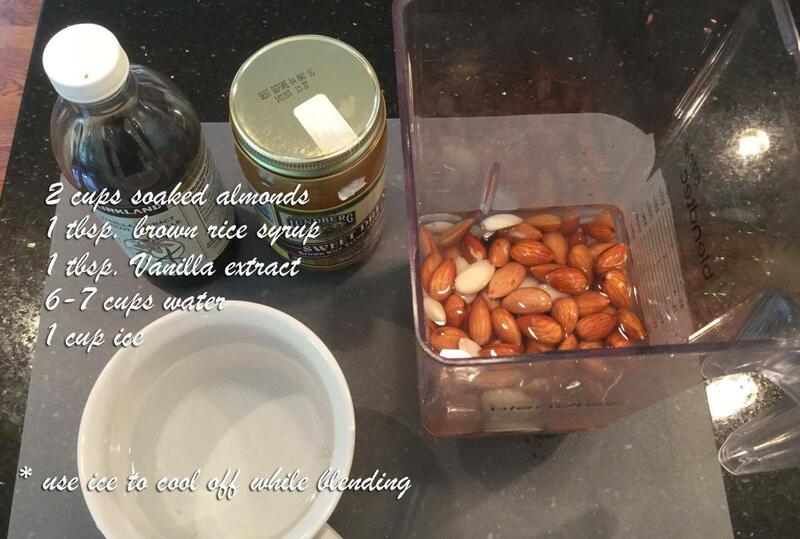 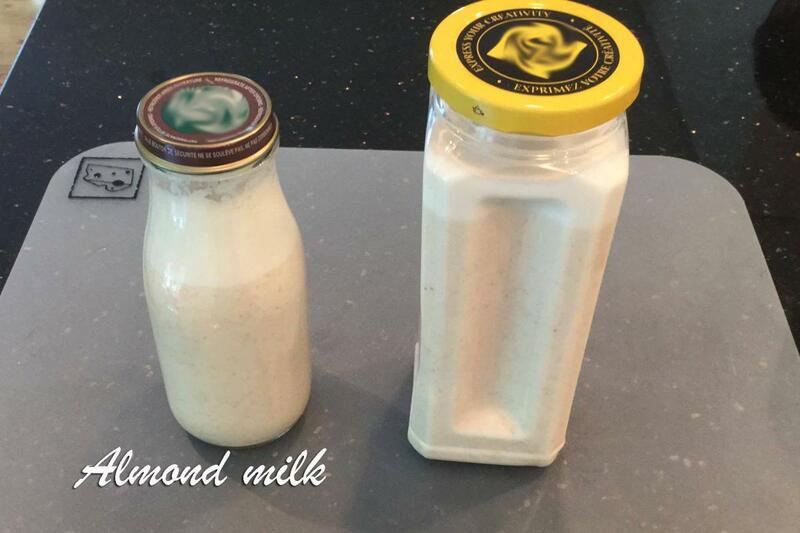 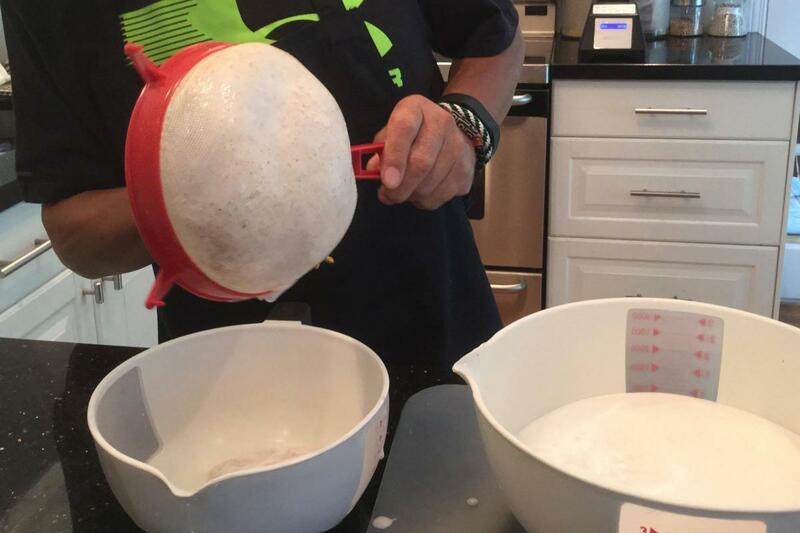 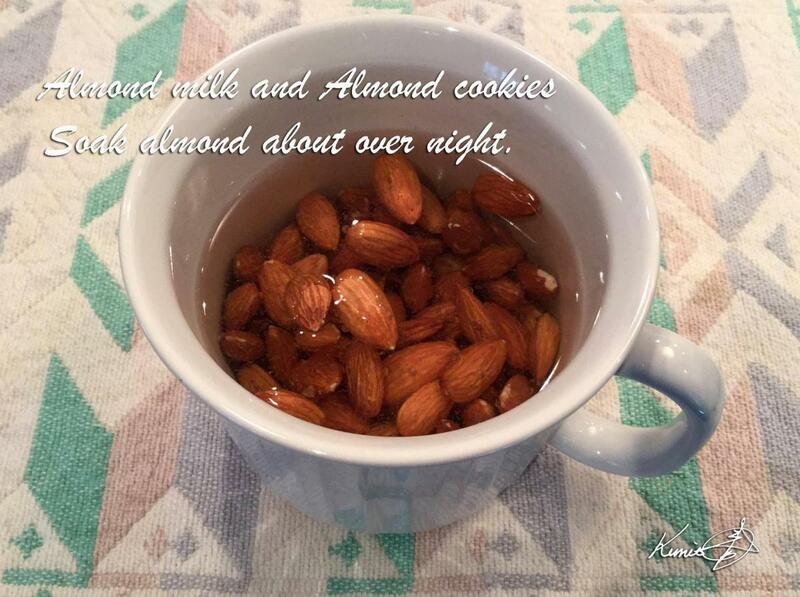 1) soak 1.5~2 cups almond for over night. 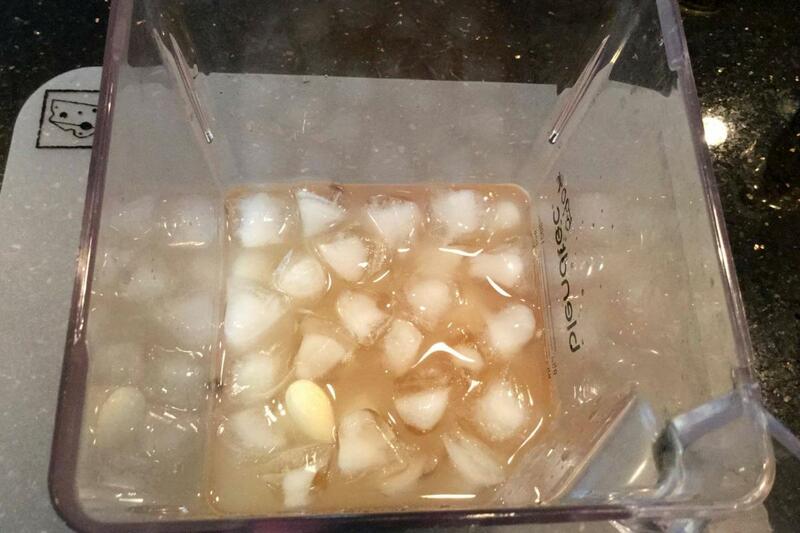 4) add a cup of ice to cool off. 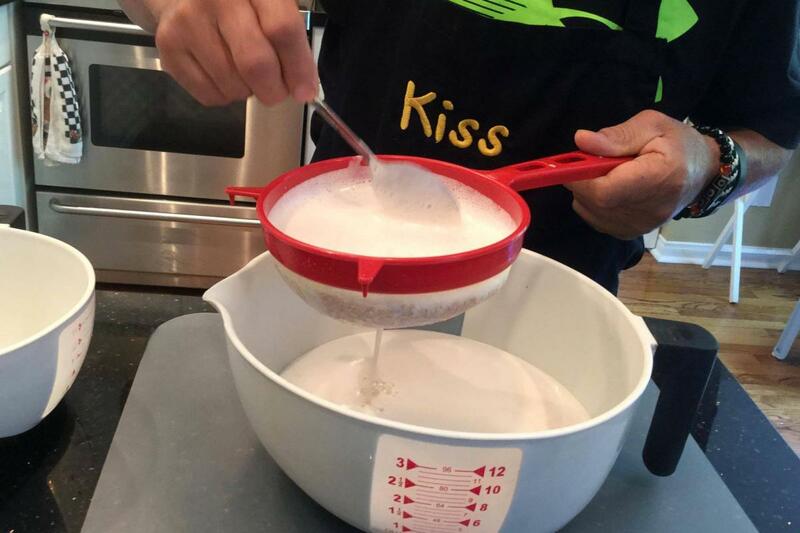 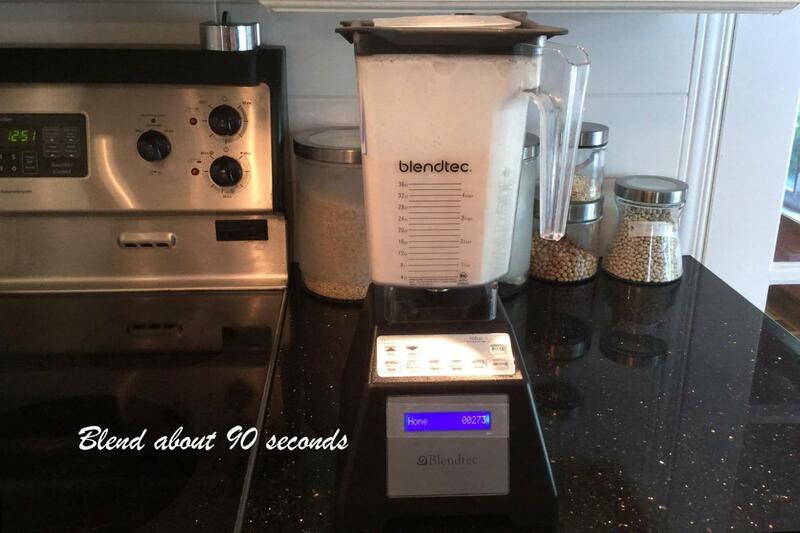 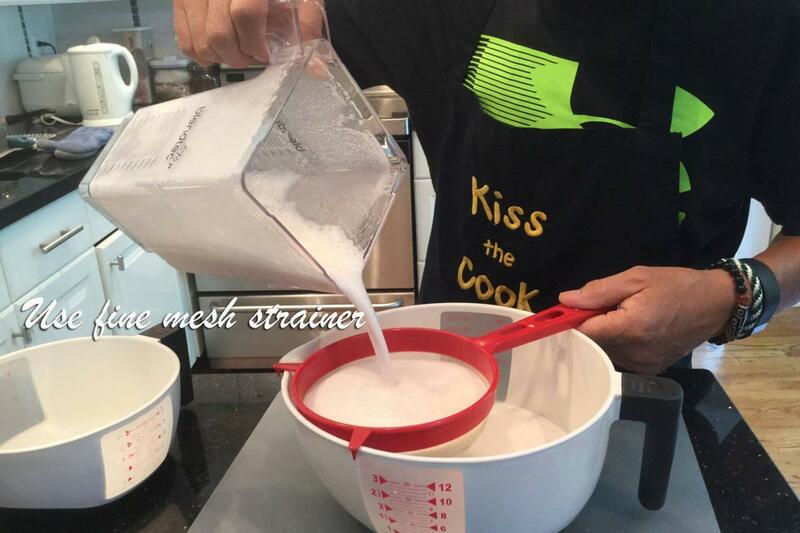 5) Blend them in high speed for 90 seconds. 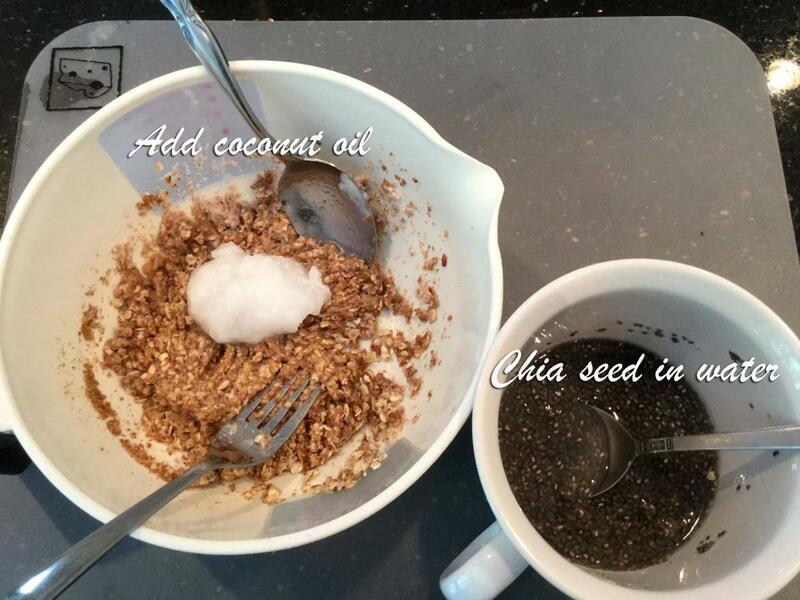 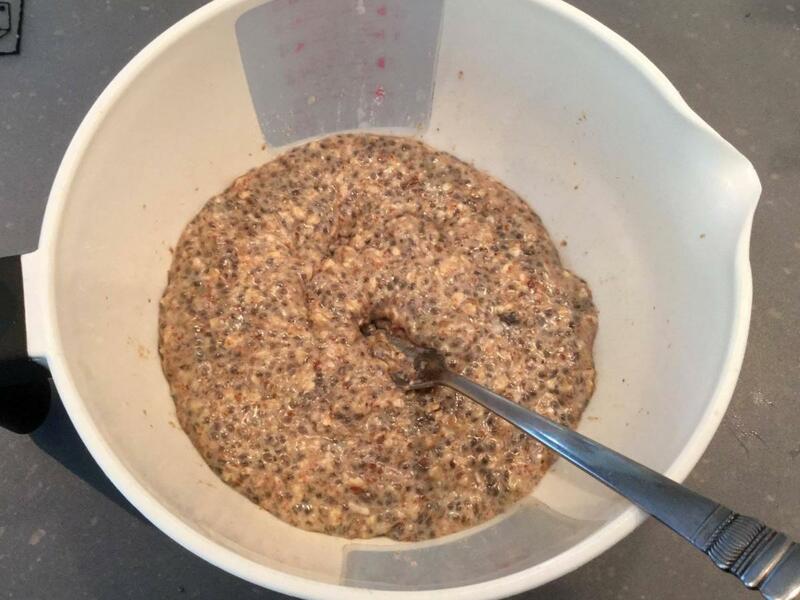 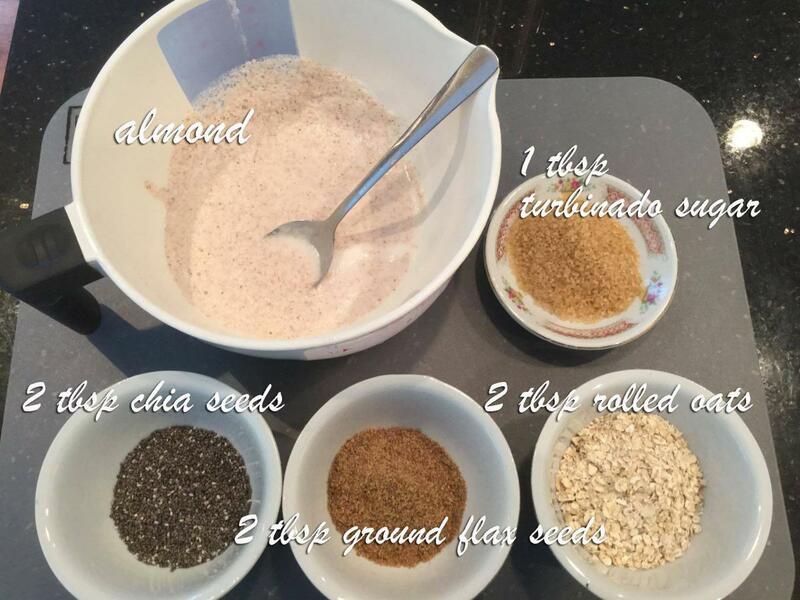 7) The remainder, mix with Chia seeds, Ground Flax seeds, rolled oats and add 1 tbsp of turbinado sugar. 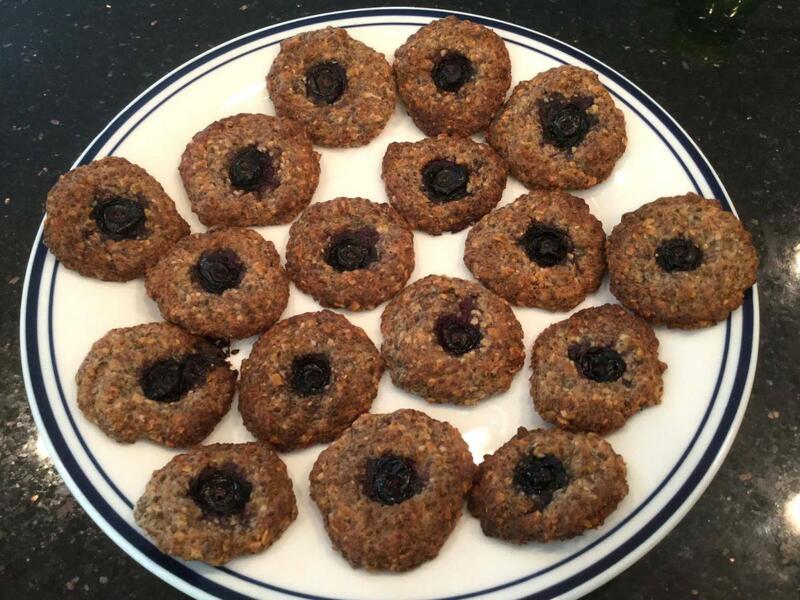 8) Scoop with small spoon and put on the parchment paper, poke hole in the middle, put a blue berry in each cookie. 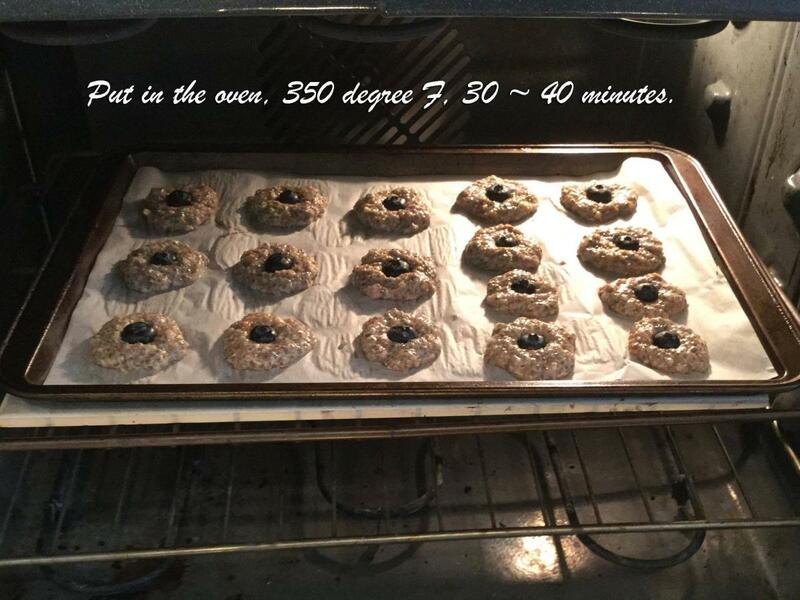 9) Bake the 350 degree F, for 30~40 minutes.